I’m back in California. 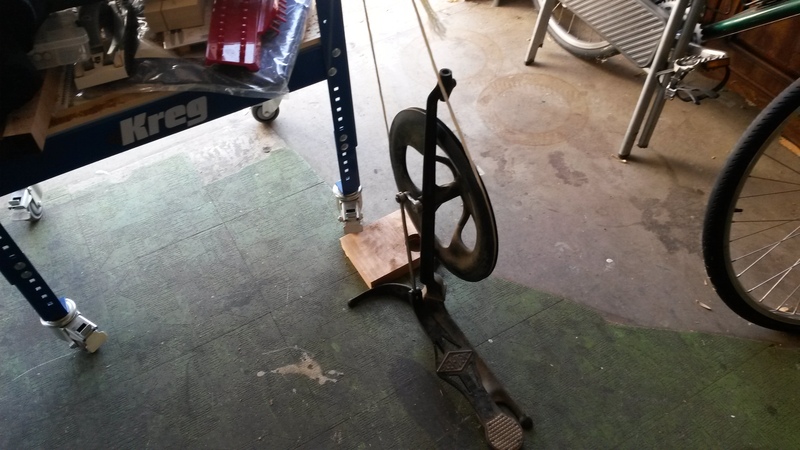 On the trip down, I stopped at an antiques store and found a treadle from an old dentist drill. 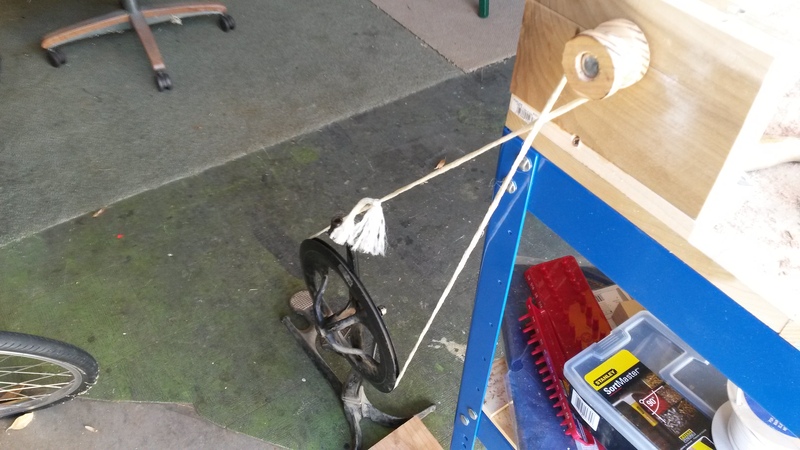 I bought it to convert my wood lathe (original post here) to foot powered. I lubed it and hooked it up. I got the best results I’ve had so far with the lathe. I used the lathe for about half an hour. The treadle began to make a clacking noise and would hop once every revolution. I’ll work on it later. I’m just happy to get good results quickly. This entry was posted in Tools and Equipment, Uncategorized and tagged foot power, wood lathe by admin. Bookmark the permalink.